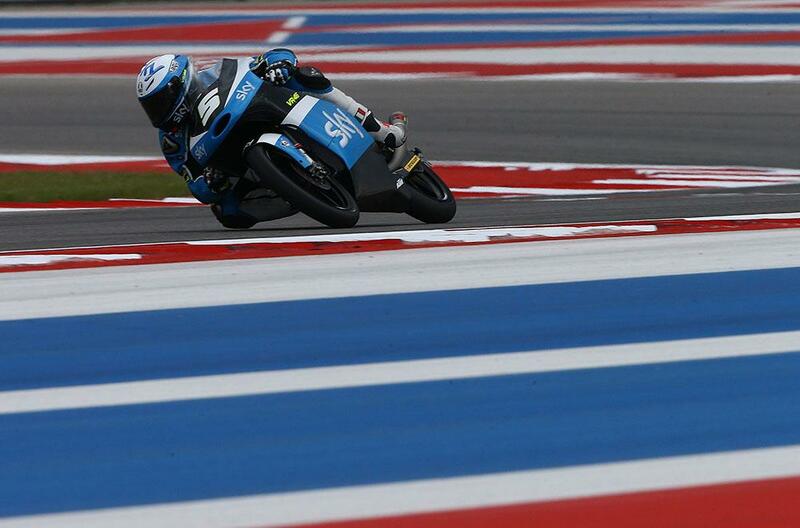 Romano Fenati has dominated the Moto3 field in Austin to take a controlling win, ending up victorious from Jorge Navarro by an impressive three seconds at the flag. Navarro was the early leader, pulling out a gap in the opening stages while Fenati battled with pole man Philipp Oettl for second. However, by mid distance, the VR46 Sky rider was able to break free and hunt down the Spaniard. Oettl was able to hang in with the chasing pack, and looked set to take the final podium spot after mechanical problems for the Leopard Racing machine of Fabio Quartararo – but was mugged on the last lap by Red Bull KTM’s Brad Binder. Locatelli was fifth, with Bastianini and Canet right behind him – and minus Nicolo Antonelli, who crashed out late in the race after a strong charge through the field. 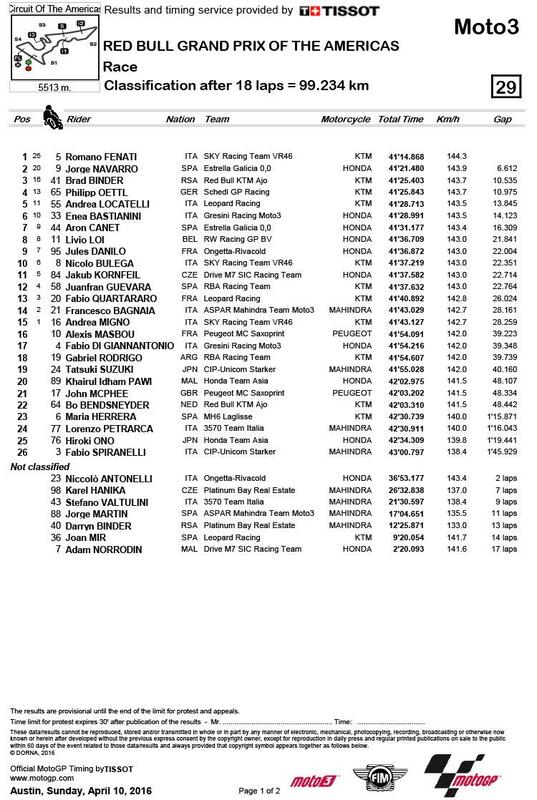 Livio Loi, Jules Danilo and Nicolo Bulega rounded out the top ten. Saxoprint Peugeot racer John McPhee was 21st after struggling all weekend with speed from the French-branded Mahindra bike.